2012 was a great year for Forest Hill. We have campaigned hard over the past few years for investment in our town centre and are beginning to see the rewards. Back in 2006, when the Forest Hill Society was formed, one of our key concerns was the future of the swimming pool. The sudden closure of the pools was really the driver for a number of local people to come together to form the Society. Over the years we worked hard with many other people in the community and in the council to bring swimming back to Forest Hill. 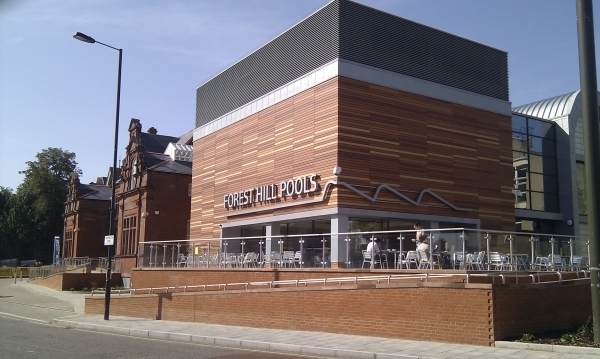 In September 2012 our dreams were realised with the opening of the new pool, a great new facility in the heart of Forest Hill. The opening of the pool has brought in new businesses to Dartmouth Road after many years of harsh conditions for retailers on the street. 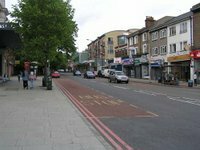 In 2011 there were far too many empty shops on Dartmouth Road and the decline was having a bad impact on many businesses that were still there. But as we got closer to the pool opening we started to see new shops opening; a charity shop, a new pub, a few boutiques, a sweet shop, a deli, and a bagel shop. The difference between now and a year ago is stark. Dartmouth Road is back to being an important shopping street, with a mix of shops, restaurants and pubs. There are still a number of empty units but we can be a little more confident that these will be brought back into use in the not too distant future. In April we decided that we wanted to try having a food fair in Forest Hill, to see if it would help bring more people into the town centre and to prove that there was demand for quality retailers. After a couple of food fairs we were getting good reactions from local businesses telling us that the town centre was busier as a result, so we decided to run these fairs monthly. 2013 is also looking positive for Forest Hill. We are actively involved in SEE3, a separate organisation with responsibility for delivering the promises made in the Portas bid document. We work closely with SEE3 to ensure that Forest Hill and Kirkdale get the maximum benefit from their share of the funds. SEE3's activities will help improve our Town Centres, but unlike us, they are a commercial organisation with funds to pay people to deliver the improvements. Louise Brooks and her team have done a great job in creating three pop ups before Christmas. By the time you receive this, there will be a fourth Pop Up in Forest Hill, “Love Ur Look” at 10A Dartmouth Road, whose launch is timed to coincide with Forest Hill & London Fashion Week (15-19 February) and a fifth is planned for Kirkdale in April. Forest Hill Traders' Association will be promoting Totally Locally in the spring edition of Lewisham Life, so keep your eyes open for the chance to win a £100 spending spree. But all is not rosy. 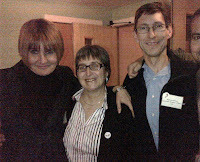 We are actively involved in the campaign to Save Lewisham Hospital. Although the Minister has decided that Lewisham should lose its Maternity and A&E units, nothing has yet been closed and the hospital remains open as normal. It will take at least three years before the necessary infrastructure has been built to replace Lewisham's facilities. In the meantime, the fight will go on, and we would encourage you to use Lewisham whenever you need hospital facilities. Other hospitals have suffered due to people avoiding them after similar announcements and we need to make sure Lewisham survives. The proposed changes will materially impact the long term viability of Lewisham Hospital and it could well suffer a total failure due the impact of the proposals. Lewisham Council will be seeking a Judicial Review of the decision. Finally, we are monitoring the situation regarding the laundrette. There are rumours that an Estate Agency wishes to get change of use for this vital community resource. Forest Hill has a wonderfully diverse population and a laundrette is an essential requirement for many local residents. We end the year with a great outlook for Forest Hill town centre. We can be sure that 2013 is set to be a great year for Forest Hill with the SEE3/Portas funding and a great team behind it, pop-up shops, monthly food markets, an active traders' association, and last but not least the swimming pool open again.